We all know that feeling. Toys under the bed, on the floor, in the dog's basket - but you still can't find that favourite piece of toy. 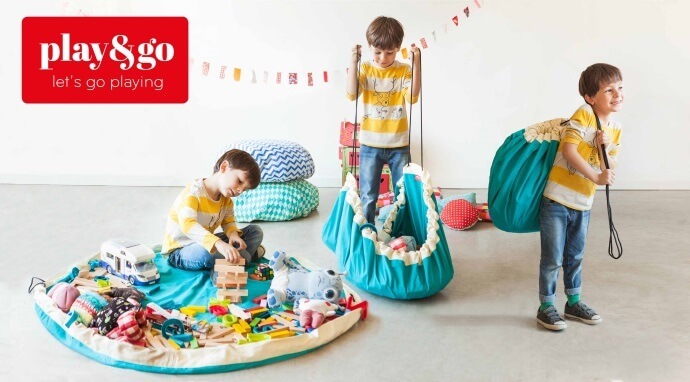 A 2-in-1 storage bag that doubles as a playmat is every child's dream. Toy storage is simple, and dolls, cars, balls and blocks can all be swiftly cleared away with one swing. 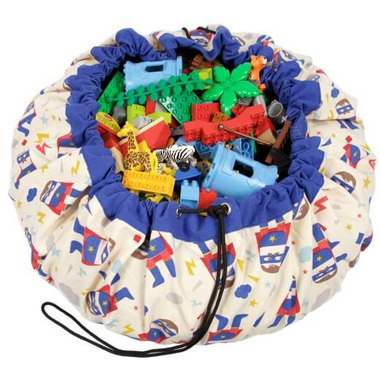 The Play & Go toy storage bag measures 140 cm in diameter. They're made from high quality polycotton and are machine washable.